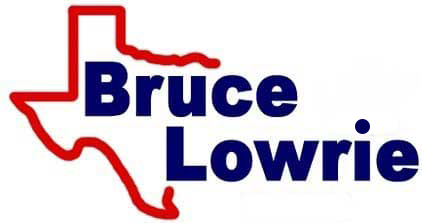 Bruce Lowrie Chevrolet in Fort Worth, Texas, offers professional sales, finance and service assistance, so if you're looking for a hassle-free automotive experience, visit us near Aledo today! We keep extensive business hours to ensure all drivers in the area can drop by to fulfill a vehicle need and feature an interactive website that helps motorists enjoy a streamlined process. Browse competitively priced new cars for sale that blend style with safety and performance with comfort, snag a Chevrolet vehicle with help from our auto sales team. We offer the full lineup of new Chevy models including the Tahoe and Camaro, so don't hesitate to tell us about your vehicle requirements; we'll customize a shopping plan to suit you! Interested in used cars for sale? We have you covered. Our auto dealer near Aledo, Texas, carries used Chevrolet vehicles, Certified Pre-Owned Chevy options and used cars for sale from other brands so that we can be sure we're presenting you with all the options that complement your lifestyle! If you're interested in help with determining a car down payment amount, information on buying versus leasing or would like to explore the loan options that you can put to use, team up with our Chevrolet financing center. We have auto loan options for motorists of all budgets and credit scores, including loans for drivers who hold sub-prime ratings, so complete one of our car credit applications from your Arlington, TX home today! Let our new and used car dealership help you maintain your vehicle over the years, schedule auto care or order genuine auto parts now! Our service and parts centers keep prices affordable, offer a variety of specials to put to use and have knowledgeable, certified technicians standing by, ready to assist you. And find our new and used car dealership on the right-hand side! From valuing your trade-in to getting you set up for a Malibu test drive or introducing you to original equipment manufacturer parts, our Fort Worth Chevy dealer is here for you.